This Social Worker interview profile brings together a snapshot of what to look for in candidates with a balanced sample of suitable interview questions. Social workers are found in a broad range of settings (community-based, academic, corporate). They may be diagnosing emotional, behavioral, or mental health disorders. Their training may be focused on a certain population, such as child welfare, veterans, or addiction. Depending on the job they may also have to do home visits. For best results, you should add interview questions tailored to their particular work environment and responsibilities. These interview questions are more general and can be used to start purposeful and revealing conversations with your job candidates. 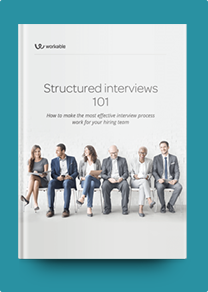 They will delve into how well your candidate has researched your organization, how much relevant experience they have, and how well-versed they are in current social theories and practices. Emotional intelligence is critical for this position. Empathy, active listening, and intuition are some of the traits of great social workers. Use situational questions to get a sense of how they would handle case recording, difficult clients, ethical conflicts, and other types of situations and crises that may come up in their day-to-day workload. What interests you about social work? Why did you choose this career? Discuss your previous work experience and how it relates to this role. How do you keep up with your continuing education requirements? How much experience do you have working with people whose culture, race, or sexual orientation is different from yours? What do you know about the population we serve? What interests you about working with this population? Let’s say that you’re working in a community that’s new to you. How would you go about finding community resources for your clients? Describe a major accomplishment in your fieldwork. Talk about a disappointing fieldwork experience and how you handled it. What information would you include in a psychological assessment? What is your approach to case recording? How do you continue to improve your documentation skills? How would you rate your active listening skills? Describe a time you worked with a difficult client. How did you handle countertransference? What would you do if one of your clients started behaving aggressively towards you? Describe one of your more complex cases. What was your role in this case? As a social worker, have you ever faced any ethical conflicts? How did you handle it? Have you ever disagreed with a colleague about a treatment plan? How did you resolve the disagreement?